New independent bottler Golden Decanters is targeting high-end Scotch whisky collectors with the release of a four-strong range of single cask single malts. The four whiskies – sourced from The Glenlivet, Bowmore, Auchentoshan and Ben Nevis – are only available as a set of four 70cl bottles, priced at £7,250, with 180 sets released. They include: The Tight Line, a 34-year-old, 41.8% abv Glenlivet; The High Drive, a 26-year-old, 46.8% abv Bowmore; The Golf Widow, a 22-year-old, 59.8% abv Auchentoshan; and The Highlander, a 19-year-old, 55.5% abv Ben Nevis. 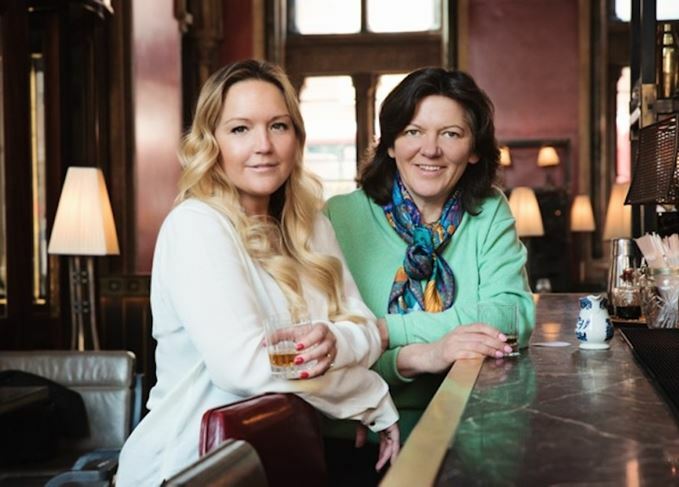 Golden Decanters is co-owned by family friends Ann Medlock and Julia Hall Mackenzie-Gillanders, who took two years to find and bottle the company’s inaugural range. ‘Our two-year journey has taken us across Scotland, tasting hundreds of the best single malt whiskies,’ said Medlock. ‘As independent curators, we were able to select the finest casks from each distillery, basing our decisions on what tasted exceptional. 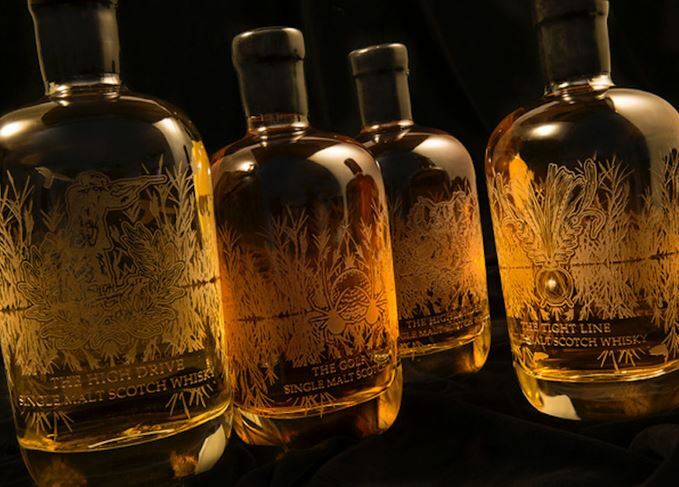 The range’s etched bottles and carved oak presentation boxes were created by Scottish designers Timorous Beasties. Medlock moved from organising fishing trips to running distillery tours thanks to the Scottish weather, while Mackenzie-Gillanders has been selling fine wine to collectors for 10 years, working for The Antique Wine Company and Linton Robertson. The idea for Golden Decanters was born when the pair noticed an increasing demand for ‘single malt that was a little different’ from collectors who were tired of ‘tartan and twee’. They sourced four casks of whisky, which were bottled and sold to private collectors, providing part of the start-up funding for Golden Decanters. The initial range is available from Hedonism, The Conran Shop and direct from Golden Decanters, with nearly 10% already accounted for by pre-sales. The company plans to release more collections ‘once further sourcing of single cask malt whiskies has been completed’. The dig hopes to unearth secrets at a remote Highland whisky distillery dating back to 1825. Dr Nick Savage will join the recently-revived Lowland distillery as its new master distiller.